Todd Bolen called attention to Bible and Archaeology-Online Museum, a site that features fifty items in chronological order, beginning with the oldest artifacts first. Images are high resolution, and helpful explanations are included. I recommend it as a handy and helpful resource. Visit the site here. 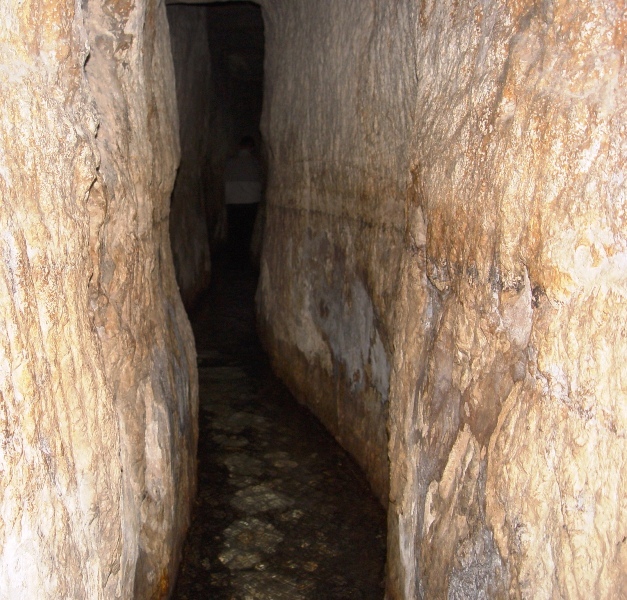 Among the items listed was Hezekiah’s tunnel, dug (701 BC) in anticipation of the Assyrian threat under King Sennacherib. The tunnel brought water from the source, the Gihon Spring, which was outside Jerusalem’s wall, to a pool within the city. Thus the Assyrians would have no water, while the Jewish inhabitants inside Jerusalem would have a ready supply. Hezekiah's Tunnel in Jerusalem, City of David. Photo by Leon Mauldin. Todd’s article may be seen here. During most of the decade of the ’80’s we lived and preached in Lexington, AL., a small town in northwest Alabama just below the Tennessee state line. When we moved there we soon heard of a church member, Mr. Beavers (already deceased), whose “gift for gab” was legendary. It was about a 40 minute ride from Lexington to Florence. A company van provided transportation so he and other area workers rode back and forth every day. It was said that when Mr. Beavers got in the van he started talking. And he talked all the way to work. Then nine hours later at the end of the workday when they loaded up to return home, he start talking again–without fail taking up at the very point he left off that morning! I always thought that was amazing. If my train of thought is interrupted I might have to ask, “Now what was I saying?” But Mr. Beavers could remember consistently, with the passing of nine hours. The Continuity of God's Plan. Chart by Leon Mauldin. 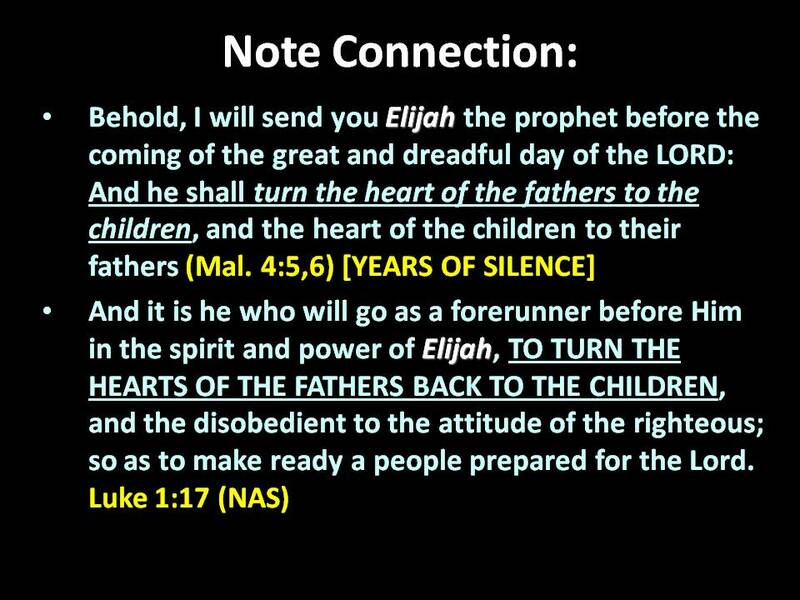 The Old Testament concluded with a prophecy of John’s birth, figuratively referenced here as Elijah the prophet. He would be the forerunner to prepare the people for Jesus’ coming. But although 400+ passed after Malachi’s prophecy, when God renewed revelation, He took up right where He left off, thus continuing the unfolding of His plan to bring Christ into the world. Amazing! As one continues from Lake Van toward Mt. Ararat in Turkey, you pass through Tendurek Gecidi. This area has over the years been prone to earthquakes and volcanic activity. Tendurek Gecidi, near Ararat, Turkey. Photo by Leon Mauldin. This was for me the first opportunity to see lava fields like this. 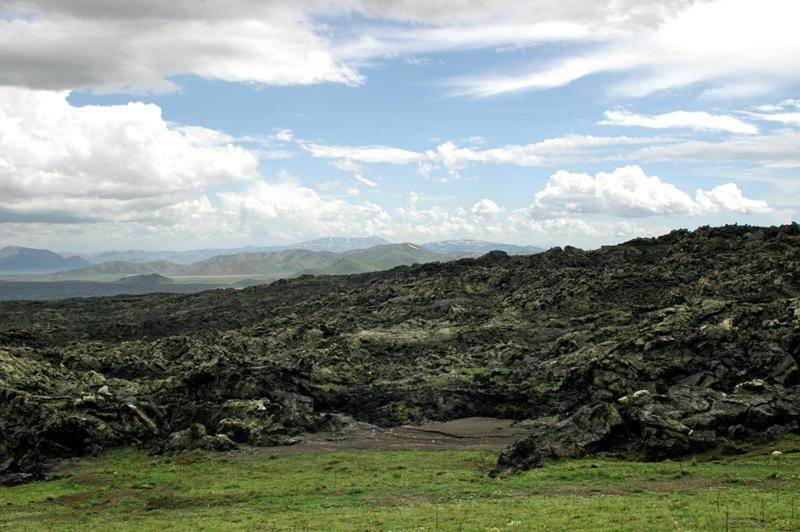 Lava Fields at Tendurek Gecidi, Turkey. Photo by Leon Mauldin. 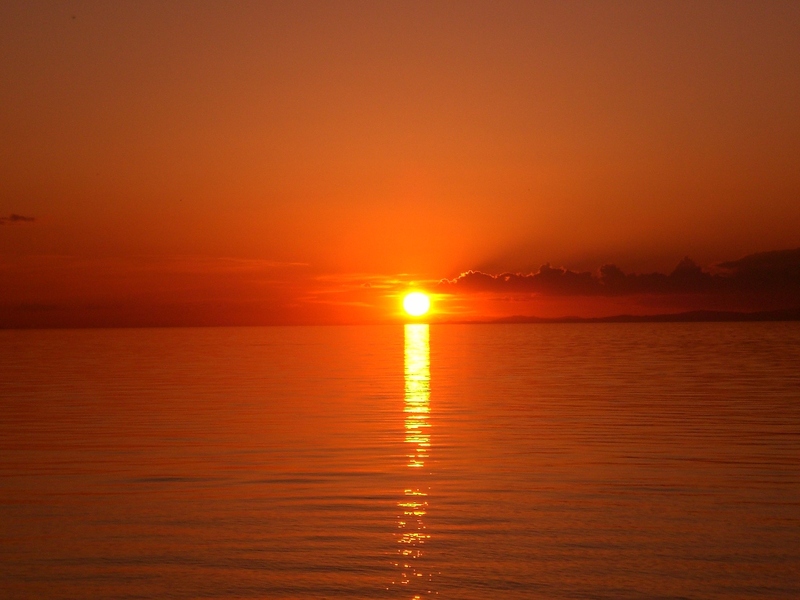 Yesterday we posted a sunset photo of Lake Van. 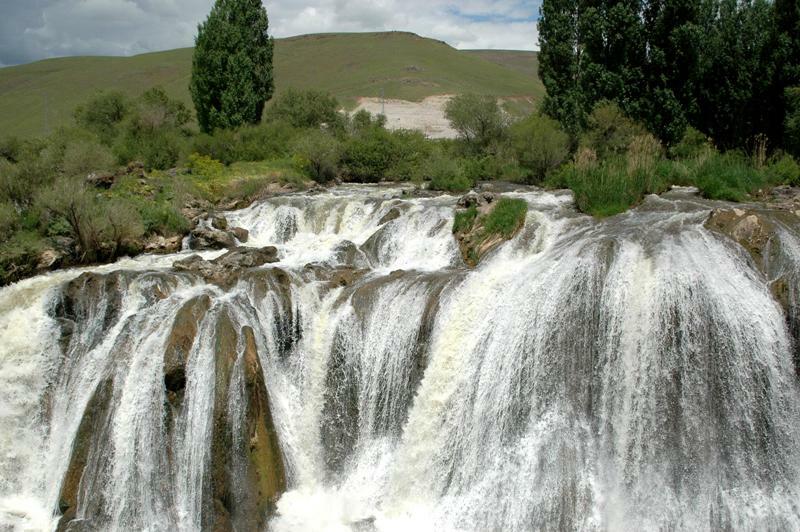 As one passes by the lake en route to the Ararat Mountains he can enjoy the Muradiye Falls. Muradiye Falls, in Van District of Eastern Turkey. Photo by Leon Mauldin. I took the above photo from this swinging bridge. 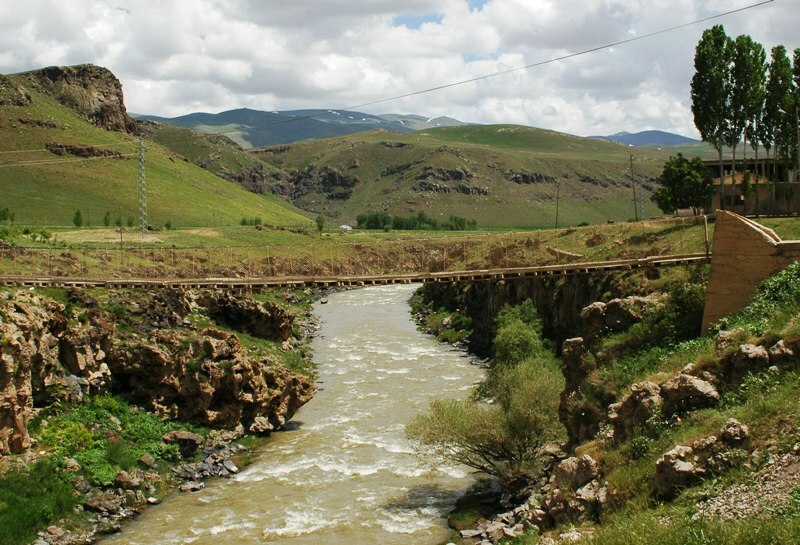 Swinging bridge below Muradiye Falls. Photo by Leon Mauldin. You are not far from the Iranian border in this part of the world. 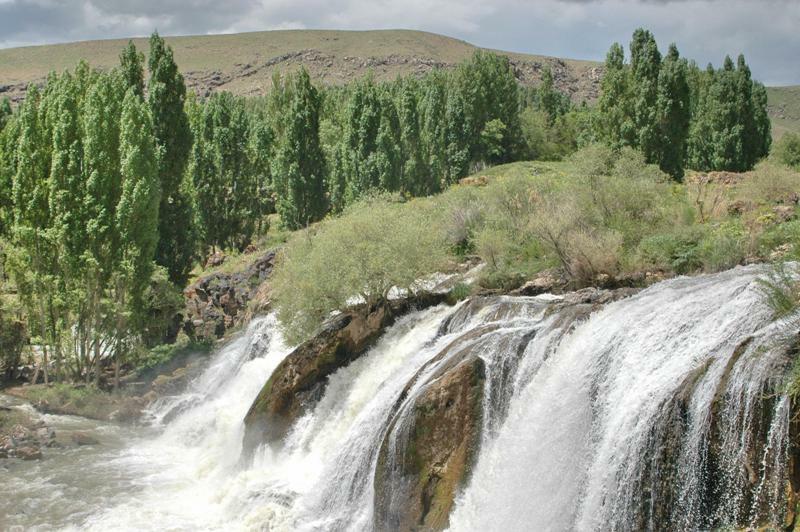 Muradiye Falls, much of which comes from snow melt. Photo by Leon Mauldin. A little store is conveniently located on site. 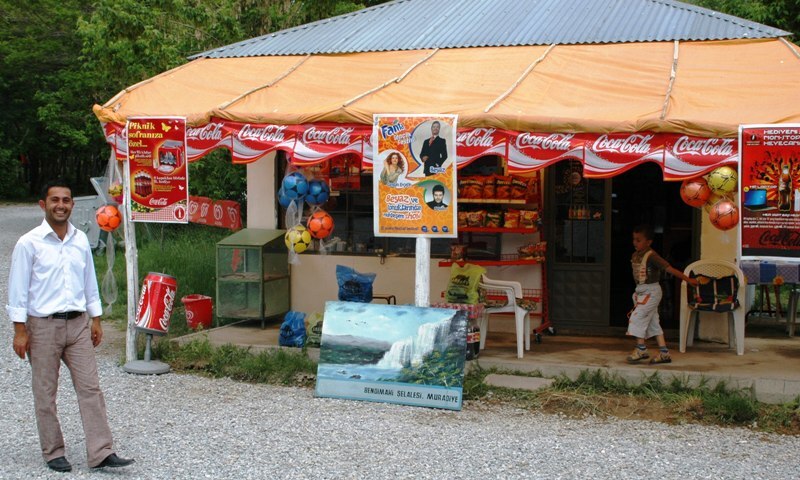 Store at Muradiye Falls. Friendly people. Photo by Leon Mauldin. Lake Van is the largest lake in Turkey. 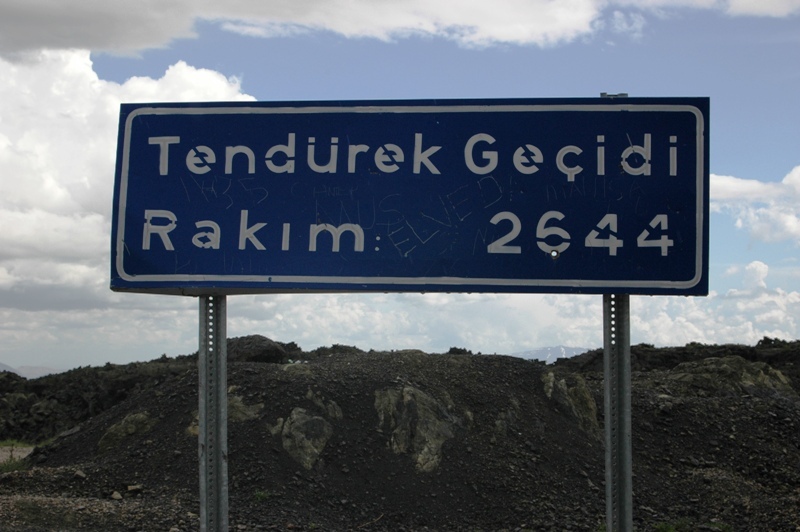 It is located in Eastern Turkey in the Van District. This site is not far from the Ararat mountain range, where the ark came to rest (Gen. 8:4). Lake Van at Sunset, Eastern Turkey. Photo by Leon Mauldin. In a previous post we looked at some dietary restrictions in Leviticus, observing that God’s purpose was to shape and mold a people (Israel) into His own special possession. and the stork, the heron in its kinds, and the hoopoe, and the bat (v.19, NASB). In Eastern Turkey near Mt. Ararat we photographed this stork. Stork, listed among unclean animals in Leviticus 11. Photo by Leon Mauldin. 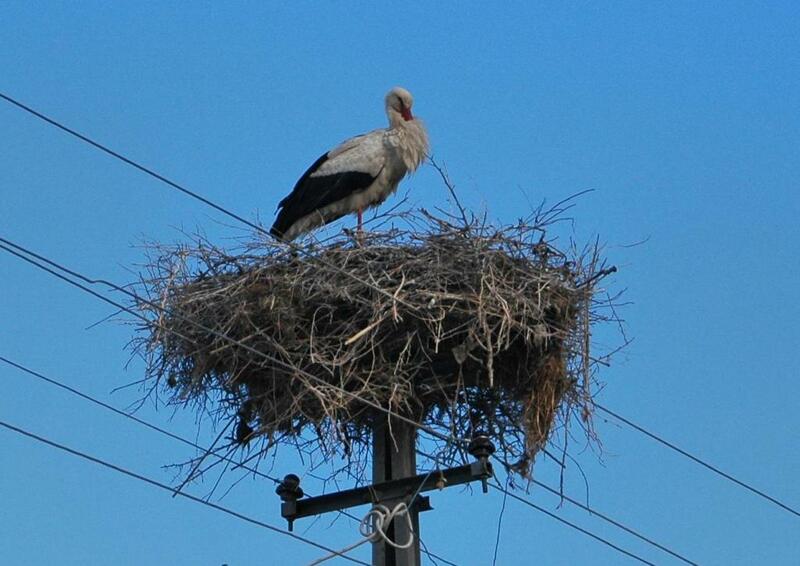 It is not uncommon for the stork to build its nest atop electrical poles. Even the stork knows when it is time to move on. The turtledove, swallow, and crane recognize the normal times for their migration. But my people pay no attention to what I, the LORD, require of them (8:7, NET). Migratory birds journey from Turkey to Africa taking the route of the “land bridge” of Israel. The Lord is saying that the birds (including the stork) obey Him, but His covenant people paid no attention. Hebrews 12:1 states, “Therefore since we also have such a large cloud of witnesses surrounding us, let us lay aside every weight and the sin that so easily ensnares us, and run with endurance the race that lies before us” (CSB). The idea of a race with a finish line in the distance before us suits well the picture of a faith that is forward-looking and that requires determination. Josephus spoke of ‘those who have a prize before them’ and how, when they are zealous about it, they do not stop working for it. Races in Greco-Roman times were held in a public venue called a stadium, of which several ancient examples survive (Olympia, Athens, Rome, Tyre, Laodicea, Pergamum, Ephesus, Priene, Miletus, Aphrodisias, Perge, Sardis, etc.). On each side of the race course was seating for spectators. The shortest races were about 210 yards, the longest were about 5,000 yards (2.8 miles), so stamina was needed for any one of them. The point of the imagery here is not about speed or who crosses first, but about endurance and running in the best possible way so as to finish what was started (A Commentary on Hebrews, p.441). 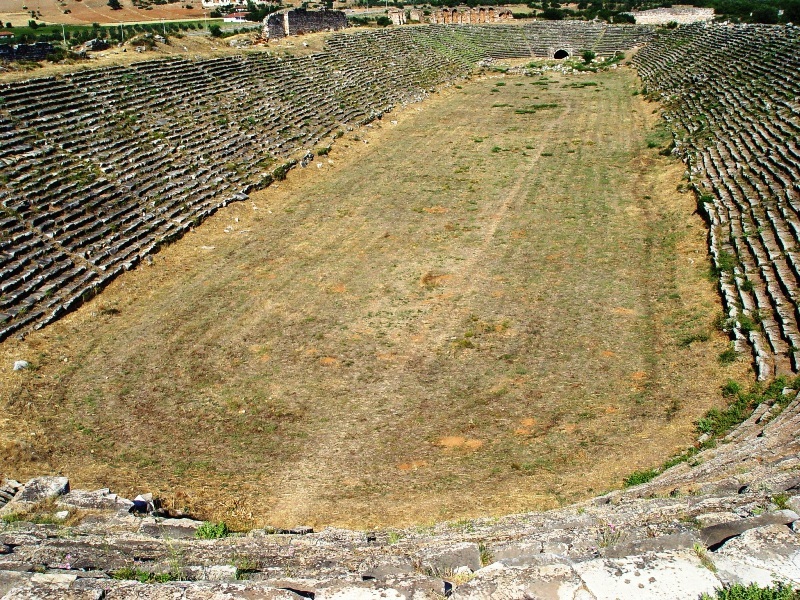 One of the best preserved Roman stadiums is at Aphrodisias (western Turkey), included in those mentioned above. This helps us understand the imagery used in the biblical text. Roman Stadium at Aphrodisias Illustrates the text of Hebrews 12:1. Photo by Leon Mauldin. In running this spiritual race, the inspired writer goes on to say, “keeping our eyes on Jesus, the source and perfecter of our faith, who for the joy that lay before Him endured a cross and despised the shame, and has sat down at the right hand of God’s throne” (v.2, CSB). You are currently browsing the Leon's Message Board blog archives for January, 2012.